Part of what makes art so appealing to individuals everywhere is the freedom of expression it offers via a variety of different mediums. 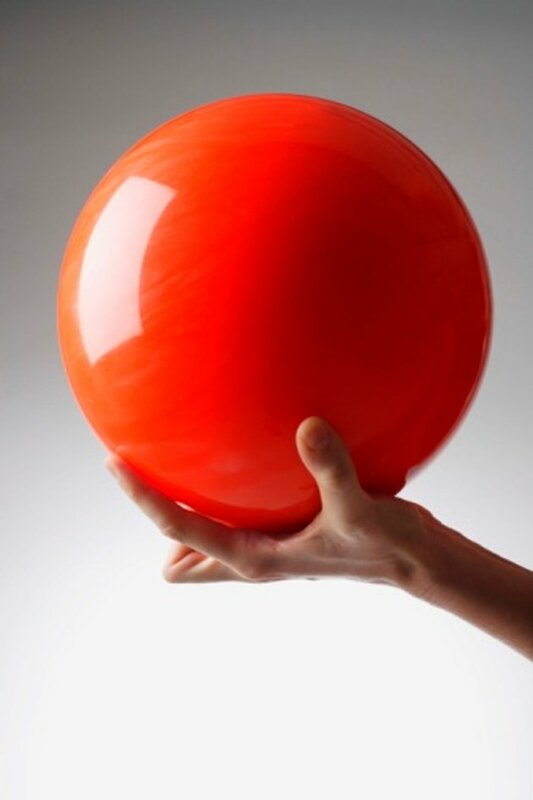 In the right hands, any everyday item – even something as mundane as a bowling ball – can become art. Turn your old bowling ball into a conversation piece. A mosaic is any art piece composed of smaller items that fit together in pieces. A mosaic can reflect a picture or merely serve as a colorful and entertaining project for a rainy day without a specific picture of pattern. Ceramic tile lends itself well to mosaics because of the multitude of colors and styles available. .
Wash your bowling ball. Dry it with a clean cloth. Lay a plastic tarp or newspaper down in your work area. This protects your flooring from accidents such as spilled grout. Put on your safety glasses and gloves. Ceramic tile is sharp when broken, and safety glasses and gloves help you prevent an injury. Break up the ceramic tiles into small pieces. You can accomplish this either by cutting each tile into specific shapes with tile cutters or breaking your ceramic tiles with a hammer – creating randomly shaped pieces. Select a piece of ceramic tile. Spread water-based tile adhesive on the back of the tile. Press the tile to the bowling ball's surface for several seconds until it sets. Attach the remainder of your tiles in the same manner. Place the bowling ball in a cool dry place for a minimum of 24 hours. This gives the adhesive time to properly set. Mix the grout according to the instructions on the container. Depending on the brand you purchase, the instructions may differ. Spread a thick layer of grout across the bowling ball's surface, allowing it to fill in the empty spaces between each tile. Wipe the bowling ball's surface periodically with a damp cloth. This cleans the grout from the surface of the tiles but leaves it filling the space between each tile. Sit your new bowling ball mosaic in a cool dry place once more for 24 hours. This gives the grout time to cure.